Don’t let a tiny home space take the style and functionality out of the bathroom. 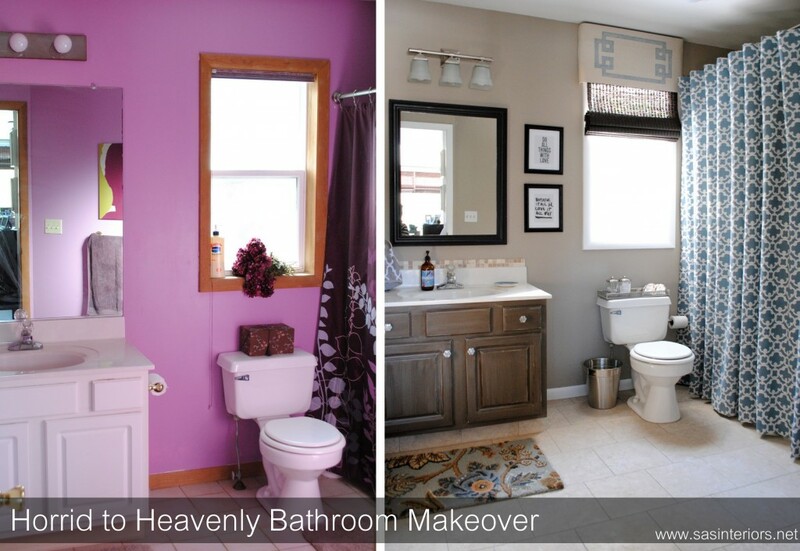 You can create a dreamy bathroom despite the limited space! 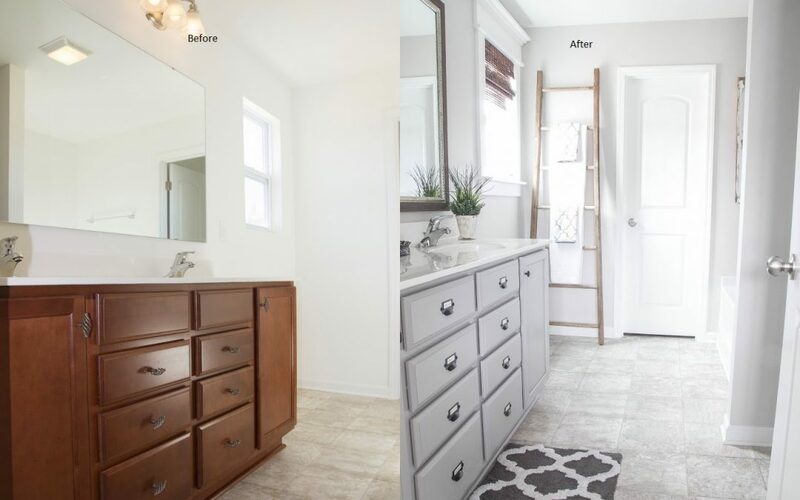 The outdated sponge-painted walls and bulky vanity overwhelmed this tiny bathroom. With a fresh coat of paint, the bathroom looks roomy and modern. The sleek furnishings completes the elegant transformation. To cut the cost down, the owner kept the bathroom’s original layout. The natural wooden accents and bulky furnishings are not doing this bathroom any favor. 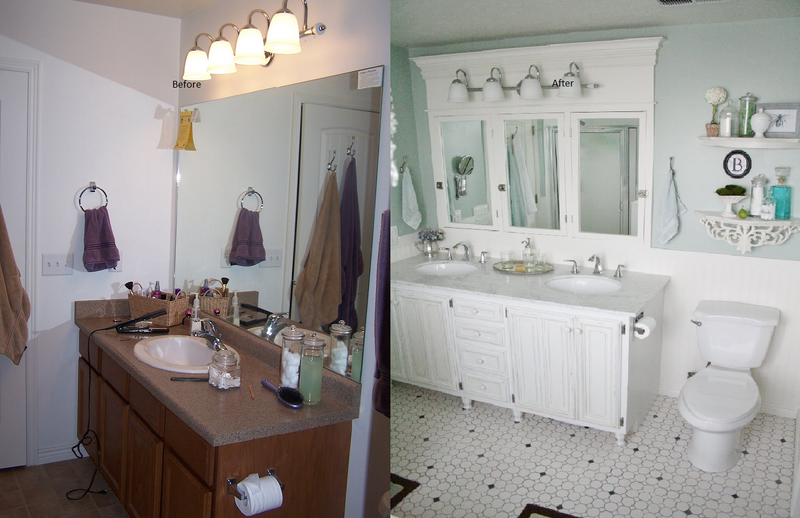 Replacing the outdated sink and cabinet is an all-white vanity. The matching wall-mounted storage paired well with the mint green walls. How can a bare bathroom look this chaotic? The wrong color choice and mismatched furnishings definitely clashed. Check out the after photo! 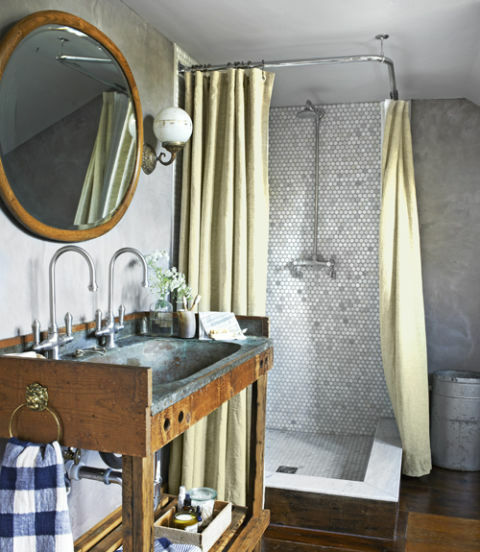 The bathroom exemplifies vintage chic with a neutral color palette and rustic decors. The natural wood finish breaks the monotony of the space. 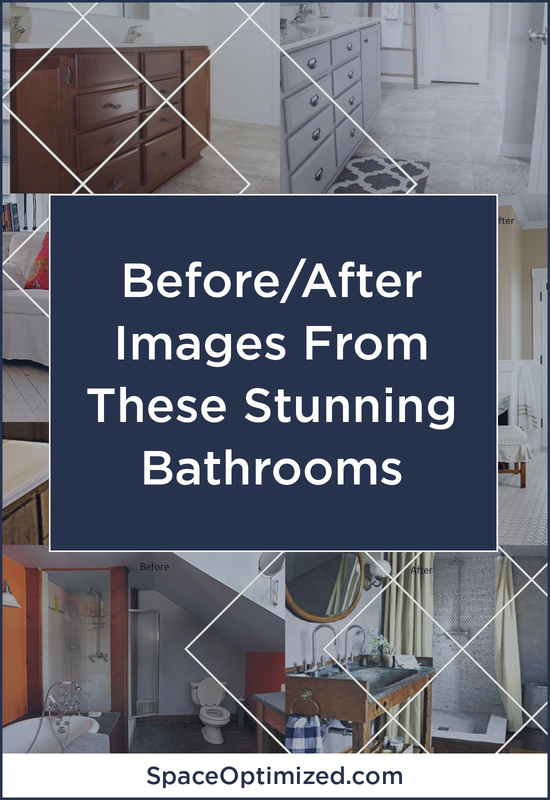 This bathroom used to be bland and featureless. The tiny home bathroom’s unremarkable shower area can barely fit one person. 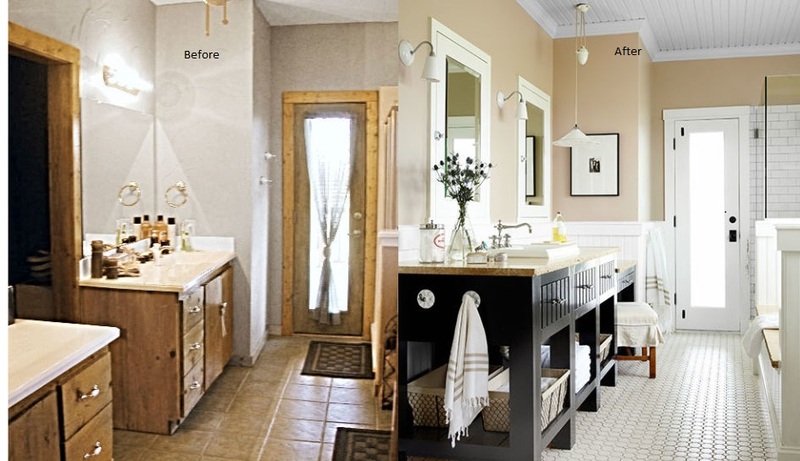 Gone are the plain furnishings, replaced by an all-in-one vanity with sink and minimalist fixtures. A high-end steam shower elevated the style of this bathroom! Everything about this tiny home’s bathroom is large, clunky, and outdated. It’s like you’re transported to the swinging ’70s every time you go potty. 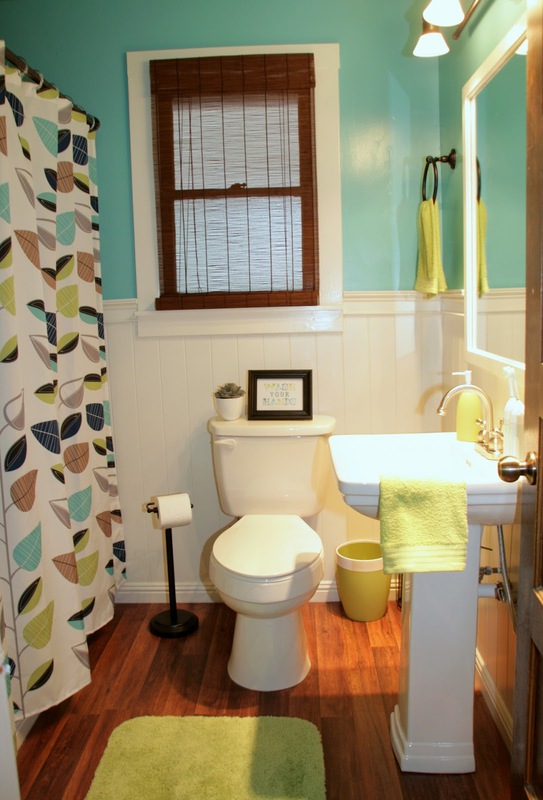 The finished look is quirky but stylish thanks to the cheery teal accents and hardwood floor. Sleek fixtures pull together the whole look! The combination of white walls and bulky wooden fixtures overwhelmed this small space. Replacing the bland walls is a delicate shade of blush. The bathroom looks expansive and neat against the white tiled floor. The wood and marble vanity adds a beautiful contrast to the neutral color palette. 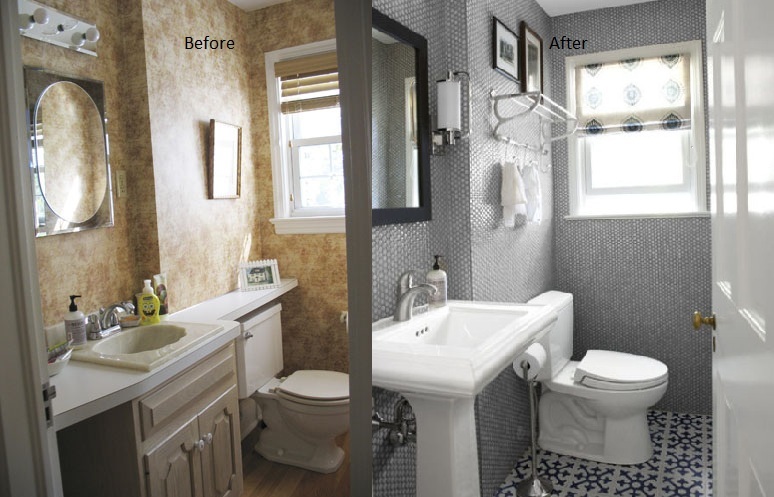 A prime example of how small changes in a space makes a huge impact. 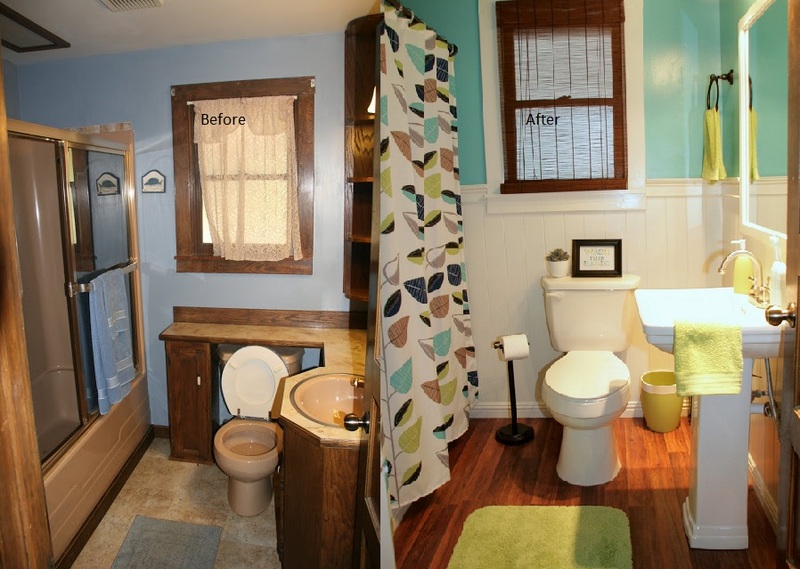 Nothing much was redone in this tiny home bathroom. 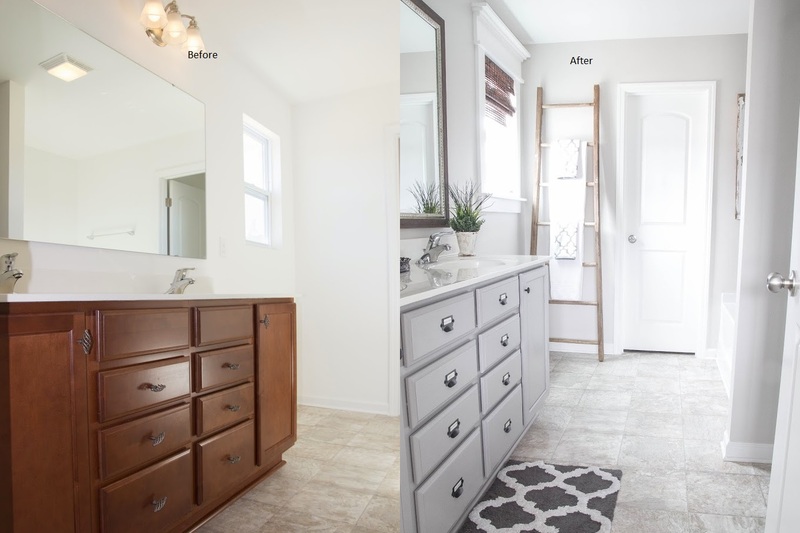 The well-chosen fixtures and repainted bathroom cabinet made all the difference. The final look is stunning! Just like Cinderella racing to the ball in her glorious gown, there is a dreamy bathroom hiding in that hot mess! 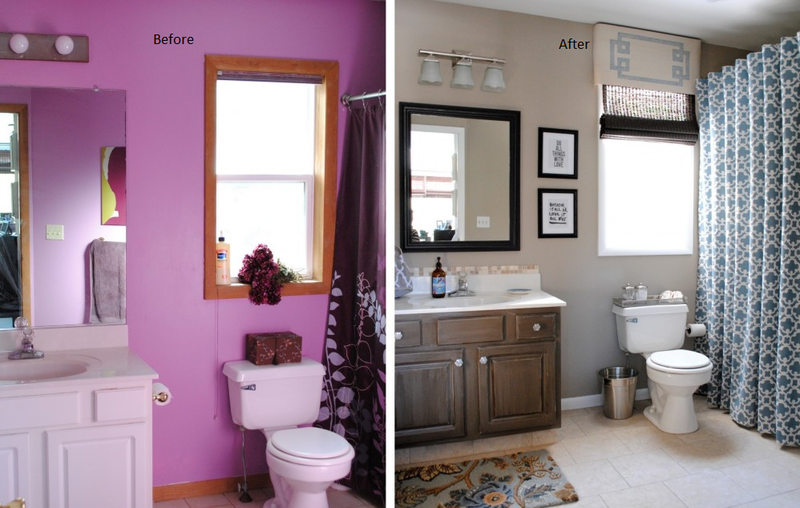 The otherwise drab toilet looked fresh thanks to a youthful color palette. The double sink bathroom vanity added functionality to the space. Shiny chrome fixtures bring a touch of elan to this powder room. Whoever thought of painting this tiny home bathroom wall an aggressive shade of pink clearly had a change of heart. Toned-down color palette and vintage furnishing transformed the space into a relaxing haven. 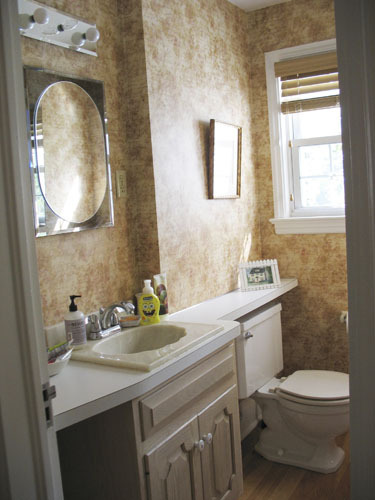 The busy wallpaper design does not play well with the faux brass fixtures. Or the dark wood floor, and textured wall paneling. The unfortunate combination made the bathroom look dark, grim, and uninviting. 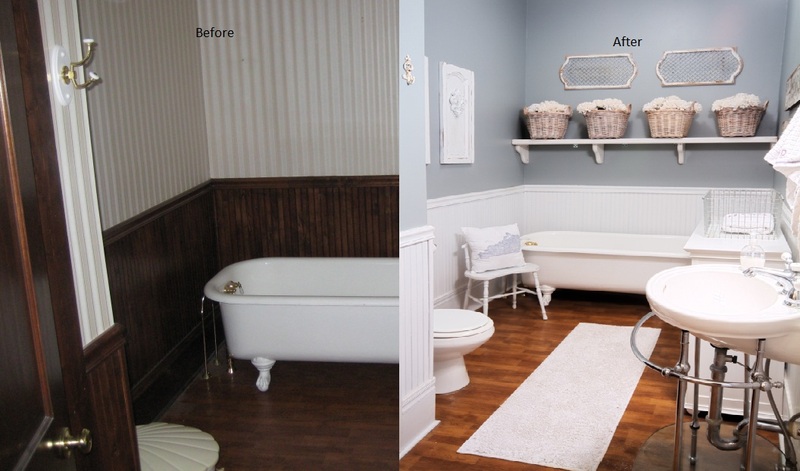 The refreshed bathroom looked brighter thanks to the tasteful dove gray walls. The all-white furnishing, and gleaming chrome fixtures livened up the space.